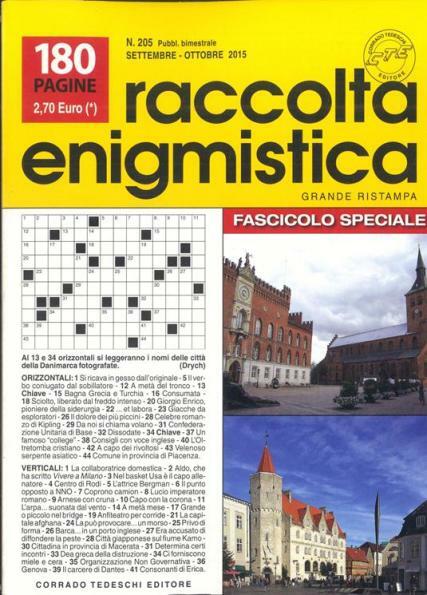 Raccolta Enigmistica is an Italian bi-monthly multi puzzle title. Every issue is packed with puzzles including Cruciverba (crosswords), Rebus (puzzles), giochi (games) and umorismo (humour). The magazine is slightly smaller than A4, making it easy to handle whilst filling in a crossword and enjoying a latte. It is ideal for the fluent italian reader, and a great educational aid for the Italian language student. Pick up a copy of Tutto Enigmistica today, or subscribe and have your monthly dose of Italian puzzles delivered direct to your door.